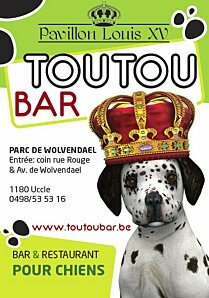 The bar is located in the park Wolvendael in Uccle, one of the most exclusive areas of Brussels, this facility will provide low-salt menus designed by dieticians and a special beer for dogs. 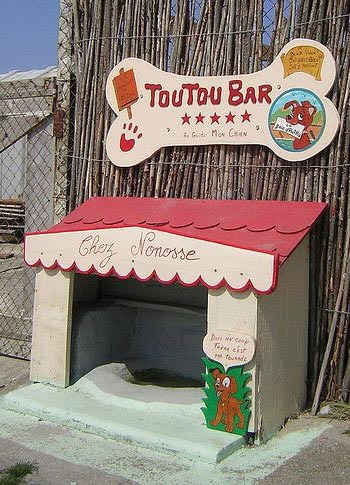 Toutou bar's specialty is the Red Dog beer, a soft drink with a subtle taste of blood, specially designed for these animals and that costs three euros a bottle. 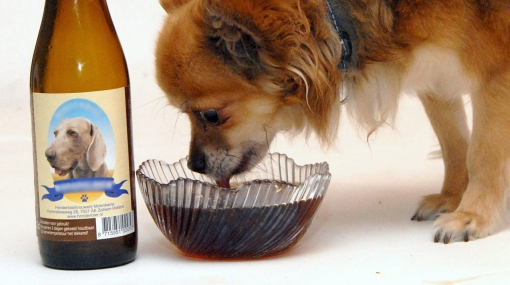 The base thereof is identical to that of non-alcoholic beer, but it is left to macerate in a bone with its core. The menu includes pasta, wild rice, vegetables or beef burgers and chicken, all dishes low in salt and high in fiber. 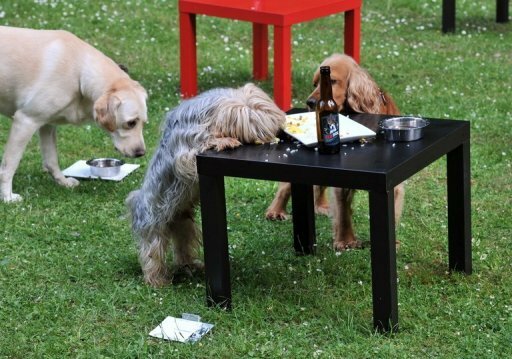 Also, the bar offers takeout packages with toy dog ​​included and can organize special parties for pets.